Standing ticket on the mezzanine. Seated ticket on the mezzanine. Seated dining on the ground floor. Premium seated dining on the ground floor. A darker, sexier, more exciting Variety show for West End Eyes. Step behind the curtains, and enter the inner sanctum. Let us open your eyes to a world of the impossible and the extraordinary - we present world class acrobatics, an aerial Adonis, sensual latin dancers, and fire-breathing sirens in an iconic and opulent setting. Prepare to be seduced. Show & Cocktail tickets from £20. 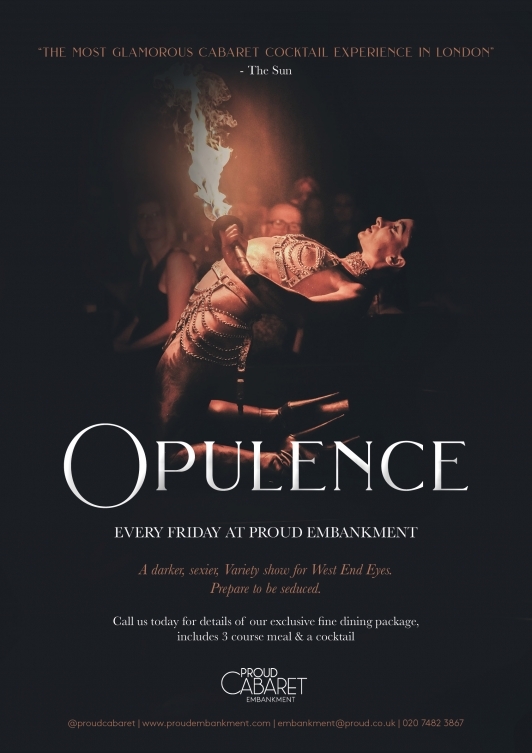 Show & Dining tickets from £40.